Hershey needs to secure his grip for the flight to an eating perch. The fish is still within his focal points as Hershey reaches to place his left foot for added grip. 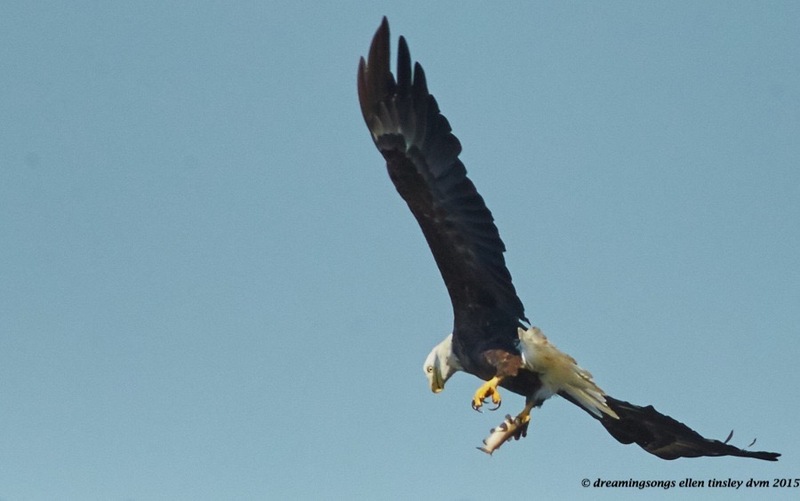 Posted in birds, Eagles of Jordan Lake, Jordan Lake, photography, raptors, wild birds and tagged as American bald eagle, bald eagle, bald eagle fishing, bald eagle flight, bald eagles of Jordan Lake, eagle, eagles of Jordan Lake, fishing, flight, Hershey, Jordan Lake, raptor.